Grabados de Rembrandt ESPAGNOL Catalogue of Rembrandt etchings. 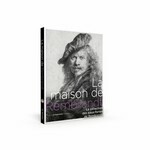 A book with lots of information about etchings of Rembrandt, the technique and the history of the house. 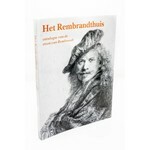 In addition to his extensive oeuvre of paintings and drawings Rembrandt van Rijn also produced around 290 prints. 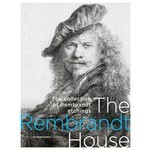 The Rembrandthouse Museum owns about 250 of his prints. His mastery in his field is undisputed; he is generally acknowledged as one of the great etchers - if not the greatest - of all time. Rembrandt acquired a European reputation in his own lifetime precisely because of his graphic work which, because it could be reproduced, was much more widely seen than his paintings or drawings. Rembrandt's free use of line, the unique deep black of many of his etchings and his masterly use of the drypoint were very popular, and his work was much sought after by the many print collectors of the time. All reproductions in full-colour, 172 pages. Also available in Dutch for 11 euro. And in English, French and German for 15,95.